Established in 2009 as the exclusive Licensee for Federal Express Corporation for five countries in East Africa – Kenya, Uganda, Rwanda, Burundi and Ethiopia, Pan Africa Express (PAX) Transport Ltd. offers today a wide range of services domestically, regionally and internationally. The Company has grown in each of the countries served and now has offices in all major cities throughout the region. The company currently employs over 300 personnel and operates a fleet of 35 delivery vans and trucks. 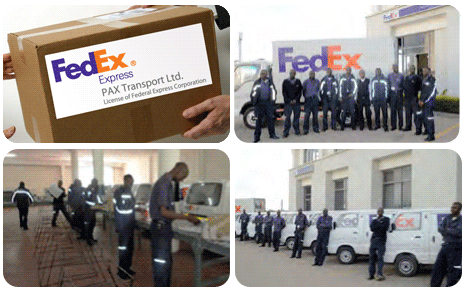 Our strategy in East Africa is focused on becoming the supplier of choice for the full range of transportation spectrum connecting the region together through unmatched service offerings and to the world through the FedEx superior air and ground network. We aim to become the market leader while enhancing the industry and providing our customers a truly outstanding experience.